In our monthly Pairings post, we match-up one of our stationery designs with another image—something that is separate in nature but associated visually through color, composition, lifestyle, and aesthetic. This month, we celebrate achors! See other Monthly Pairings here. 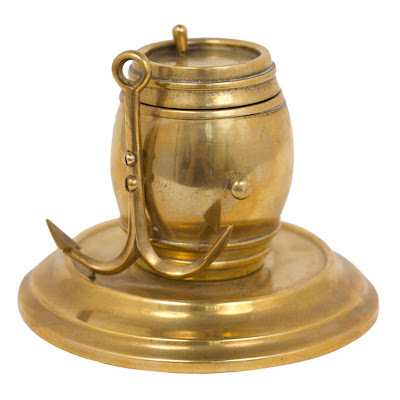 For August, we love our beachy-blue embossed Sailing Knot Notes paired with this 19th-century Nautical Brass Inkwell from 1st dibs. 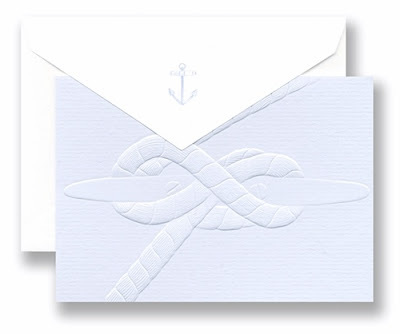 The perfect gift for sailors and for stocking summer desks!